It might look something like this ….. Thank you for your interest in purchasing David Archuleta’s upcoming album, “David Archuleta… Forevermore” which is set to be released in the Philippines in March 2012. Attached is the press release from Ivory Music & Video, the local label which will be releasing and distributing the OPM (Original Pilipino Music) album. As promised, we now have several payment options for international fans: Visa, Mastercard, Paypal and Western Union. 1) Create an account on http://www.multiply.com. Standard shipping fee (up to five (5) albums only in one package) for all international orders is PHP950 except for SEA countries which is PHP550. Please note that we will send out all of the albums on the day of the release. We will update you again via email on the release date once the label sends out a formal announcement. Please feel free to repost the link on your Facebook walls/David Archuleta fan sites/Twitter and share with other international fans so they too can buy a copy of the album. Should you have questions and any other concerns, please feel free to address them to this email. Thank you / maraming salamat po! This entry was posted in Utter nonsense. Bookmark the permalink. (Ordered copies of David's OPM album today from Astrovision……excited)! thanks, peppertara, will put at the end of the post! Driving Mr. Josh – Oh TOfan! You could come up with your own alternate series for David, LOL. Thank you @TV5manila and its marketing team for understanding! That’s great JR. I definitely support your channel and appreciate the videos, archives and countless hours you’ve devoted to keep us posted. No…I love hearing David Talk!!! I want him to be in a more free role that’s not a soap in the future…Get him out of his comfort zone…Love seeing David Act and Sing!! TOfan: Lol, your list of things that would capture David’s attention!!! Your are hilarious!! 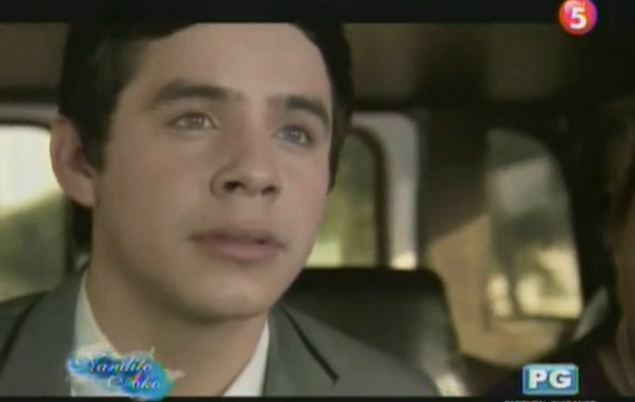 I could totally watch David’s expressions for days, especilaly his “mesmerized” face! Ordered my “Forevermore” cd> I am still kinda stunned that we are actually getting an album, Incredible!! Oh My David is so expressive. Chit has a great job!! Team Friendship and Team Josh for the win!! And if they’d video’d today’s “Driving Mr. Bradley,” they’d surely also have recorded a smirk as he saw the Chinese-Mexican-American restaurant. Love you idea for the next mini-series. He doesn’t have to say a word. His adorable expressions are enough to melt your heart. You people are so creative and hilarious. Love you! I like this soap format. Over the top. Food for much…from pondering to pure fun! And an album of Original Philippino Music love songs in English. Wowza!!! Life is good. I’m wondering if we will actually have more music from David in the next two years while he is pursuing his non-music dream??!! He is on a roll now with creativity and making music, art, etc. storing up what appears to be an artistic legacy meted out on some time table, temporary for sure, in his two year hiatus. When he returns who knows what will come from his wellspring of creativity. Laying his emotions bare does it for me. Couple that with a deeper understanding of humanity, himself, the divine, well, just maybe, this is the best thing that could ev-ah hit the world of music.